Matilda, holding the scissor, is 10 1/2inches from the top of her head to the bottom of the sewing machine. 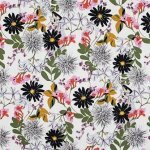 The latest in the Ghastlie line by Alexander Henry Fabrics. 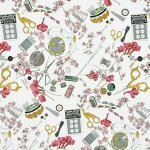 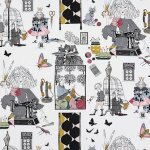 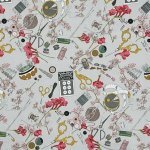 This one is sewing themed!